Has anyone ever been called up for jury duty and ended up being a juror? During the last thirty years I have been called many, many times but never chosen. How do they know that I am so suspicious of the whole jury system? Are those defence or prosecution people gifted in clairvoyance? The courts that I was mainly called to in order to be chosen as a bright and promising juror were: Balmain, Goulburn NSW and City of Sydney Courts. I suspect that most Court Houses conform to my experiences in being old, cold, and dusty and riddled by rats and guilt. Both Balmain and Goulburn Court Houses have those round roofed domes and solid columns and have some sort of pretence to architecture of glorious colonial days. This is the Balmain Experience. We step inside through a formal entrance and this is the area where the last of the cigarette butts are often forsaken in sandy bins. The formal part of the jury selection kicks off by an Orderly or other Court attendant who has a list of names. The names are being called out, this is done by the rocking backwards and forwards on heels to add some form of importance and dignity, I suppose. The whole lot of us then walks into the court room whereby we sit down on the most uncomfortable seating that seems to have been specifically designed for immediate repentance. We sit on long narrow wooden benches with seats twenty or so centimetres wide, but the wooden backrests actually lean forward, the angle being around 80 degrees to the seat. This makes all those that are seated feeling that they have done something terribly wrong, or that they should spend the time there on knees instead of sitting, or are in church at a funeral of a bishop. Mixed messages for potential jurors here? This is nothing compared with the acoustics. The only sound absorbing material in those dank court rooms could be those silly wigs, kept in Arnott’s biscuit tins, or those blue duffel bags that lawyers are so fond of slinging over their shoulders, perhaps even the shrivelled scrotums of judges, if they turned up. Not a word can be understood by anyone, but perhaps that is part of this curious juror choosing spectacle. The point might well be to impose solemnity on the whole court system… How can anyone not be found guilty under those terrible conditions? My own guilt immediately went into automatic. A special video is shown to the jurors to be chosen which is mainly brown in colour and content. We were then told that ‘deliberations’ had to be performed and this would take until after lunch. Now, I expected to at least be given a sandwich and coffee, but no, nothing, not as much as a Nescafe, not even a warm room to retire to. No, just hanging around the entrance with the bins of butts and other outcasts. After lunch we are asked to enter the Court Room again and this time we are seated on the side in slightly more comfortable arrangements. Now the selection starts. An assortment of the most devious looking characters is looking us over now, and this is also the moment where I invariably get not chosen. I am a legal reject, time and time again, this is perplexing. Why am I always kicked out? What do they look for in a juror? In any case, they are right. I don’t like a set up as anachronistic as the way all this is done. It is a hangover from colonial times. Why are those Court Buildings (apart from some City Courts) so dingy and Charles Dickensian? Why, are the acoustics so atrocious and where are modern conveniences with buildings that are suitable for to- day’s use of justice? Is justice being served best when it seems almost deliberate to make one feel so uncomfortable and intimidated by a process so cumbersome, time wasting and lacking in logic. It must also be enormously costly. Why not do away with jurors all together if conditions for jurors are so bad? Is there not a bias formed in jurors suffering those discomforts? Of course, the whole issue of whether justice is served best under a jury system is also debatable. Has anyone done any statistics on numbers of guilty or not guilty amongst gloomy courts and more people friendly courts with comforts such as canteen availability with refreshments, good sound absorbing materials and amplification systems that are clear so everyone gets to hear what is being said? Here at the NSW Goulburn Court House (the Mecca for crime and punishment) the court has a friendly reminder and map pointing where the last prisoner was hanged in the garden just in front. Most of the time spent between and during the jury selection process was outside on the veranda in temperatures of about 6c above zero. The overwhelming feeling one is left with is; that a juror is only slightly better than the accused. Why is that so, and should the jury system dispensed with altogether? Why not abolish it, if it has also proven to be so often flawed? Well said. I have had 3 similar experiences at “The big court” in Taylor square Sydney but got 60 cents bus money !! The cost in wasting a lot of peoples time is unbelieveble, less than 50% ARE “CHOSEN”. Anachronistic is putting it mildly !!! I have seen this only in films. It must be interesting, though. Yes, there used to be a spate of ‘law and order’ movies. I remember one series in b/w where the lawyer went around in a wheelchair. That might have been well before your time. I was once called upon but then the court was cancelled. I wanted to go for the experience to be able to tell a story. 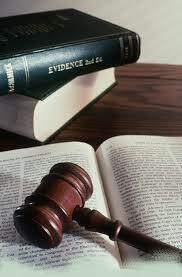 The idea of the jury system is that ordinary people judge the evidence presented to the court. Of course, it is not fool-prove. I have been called a number of times but each time the lawyers rejected me. Not once have I served on a jury. My piece was on the unsettling experiences of being called for jury service. The Court houses were dated with bad acoustics. A general musty and dated procedure which so easily could be improved upon..